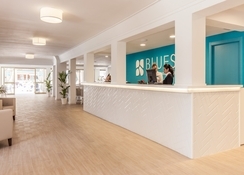 The Blue Sea Don Jaime Hotel in the Balearic island of Majorca provides a great getaway for couples, families and groups of adults who want relaxation with some activities too. 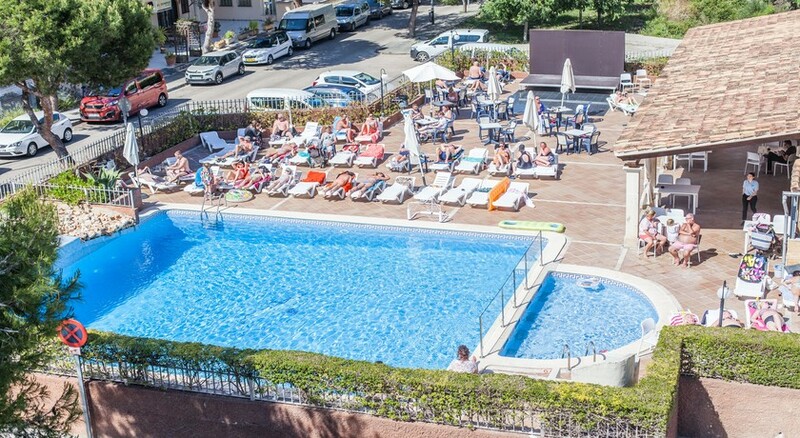 The Blue Sea Don Jaime Hotel is only 250 metres from the nearest beach and it is situated on the promenade of Cala Millor on the eastern side of the island. 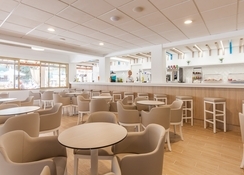 The hotel has recently undergone a major renovation and features 120 rooms, large swimming pool and facilities to make a trip to the Blue Sea Don Jaime Hotel an enjoyable one. Blue Sea Don Jaime Hotel is located in the town of Cala Millor and it is 70 km from Palma Mallorca Airport. 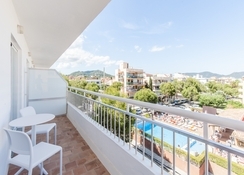 It is a stone’s throw from the nearest beach (just 250 metres) and the complex is in a handy location to walk into Cala Millor and Cala Bona with its abundance of bars, restaurants and tourist spots. The Blue Sea Don Jaime Hotel has 120 rooms in this compact but stylish complex. 22 of these rooms are apartment style and they all offer a modern décor and facilities including air-conditioning, satellite TV, Wi-Fi access and safe hire. You can choose from a 258 sq ft double room, spacious apartment and the hotel also offers 183 sq ft single rooms for solo travellers as well. You can avail of the all-inclusive option at this hotel which includes breakfast, lunch and dinner with a buffet style restaurant. A range of snacks and alcoholic and non-alcoholic drinks are available at the hotel until 11pm every night. There is also a pool bar which serves drinks and snacks throughout the day. The centre of Cala Millor is just a short walk away from the hotel and there are numerous bars and restaurants present in the town with many found on the main promenade where the Blue Sea Don Jaime Hotel is located. The Blue Sea Don Jaime Hotel offers an excellent array of activities and facilities for guests to enjoy. 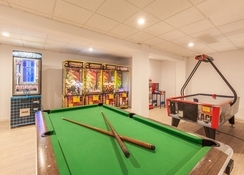 Youngsters can join in the kids’ club which will keep them occupied throughout the day with various activities, a games room is also at the hotel and the main swimming pool and surrounding deck chairs offer a relaxing way to soak up the Spanish sun. Guests can also play pool and there is nightly entertainment such as live music on a seasonal basis that will keep you amused after the sun has gone down. If guests want to take a trip to the surrounding area then the Safari Zoo Mallorca is only 5 km from the hotel and you can also visit Ceuvas del Drach (an underground lake) which is 14km away. I booked this holiday for myself and my friend Maureen , Maureen cancelled due to ill health, but I Valerie went by myself . Lovely family hotel very clean, nice food. Me and 3 friends went and got upgraded once arriving at the main hotel which was great. Standard good but great service- we all had a great time. It was our second time at this hotel. Although not modern I like it but you need to keep in mind it’s a cheap holiday. Staff are amazing and very helpful, caring and fun. I think it’s in a great area and easy walking to everything. Drinking is ok they have real Pepsi so that’s always a bonus spirits are local but ok. Food is basic but always something to eat they really try with every meal with lots of choice. I hope to get back this year for a great holiday at a great rate. check your booking out time!!!! !